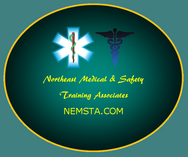 This course teaches students how to perform Adult CPR and assist someone with a foreign body airway obstruction. This course teaches students how to perform CPR and assist a child / infant with a foreign body airway obstruction. This course teaches students how to perform Adult, Child & Infant CPR, and assist someone with a foreign body airway obstruction. This course teaches students how to perform Adult, Child & Infant CPR, assist someone with a foreign body airway obstruction and how to use an AED (Automated External Defibrillator). This course teaches students how to perform Adult CPR, assist someone with a foreign body airway obstruction and how to use an AED (Automated External Defibrillator). This course teaches students how to recognize and treat common illnesses and injuries, how to perform CPR on adults, children, and infants, and how to properly operate an AED. requirements and local laws governing Public AccessDefibrillation (PAD). This course provides training in the use of splints / slings, how to control bleeding and proper bandaging techniques. You will also learn how to manage heat & cold related emergencies, environment emergencies, medical emergencies & how to recognize the sings and symptoms of someone having a stroke or heart attack. This course teaches students how to recognize and treat common illnesses and injuries, how to perform CPR on adults, children, and infants. This program provides the knowledge and skills needed by those with a job-related duty to respond to emergencies, including two-rescuer CPR and techniques for special rescue situations. Designed to meet the current OSHA training requirements, Blood borne Pathogens is designed for employees who have potential for occupational exposure to blood or other potentially infectious materials, also supplemental information on airborne pathogens such as tuberculosis is covered. This new national pediatric first aid course has been designed by the American Academy of Pediatrics (AAP) specifically to prepare caregivers and teachers to appropriately recognize and respond to the ill or injured child. This course is a refresher for professional rescuers & health care providers in the performance of Adult, Child & Infant CPR, assisting someone with a foreign body airway obstruction, bag valve mask use and the proper use of an AED (Automated External Defibrillator). This course is a refresher for the lay provider in the performance of Adult, Child & Infant CPR, assisting someone with a foreign body airway obstruction, and the proper use of an AED (Automated External Defibrillator). This course provides a basis for getting started at babysitting, home safety instruction CPR adult-child and infant. Upon successful completion of this course students receive a babysitters course completion certificate, adult, child and infant CPR completion card and an advanced first aid card.